Are you a New Yorker interested in going solar but worried about the cost? If so, you should know that thanks to the many financial incentives now available, 2019 is a great year for you to install solar panels. 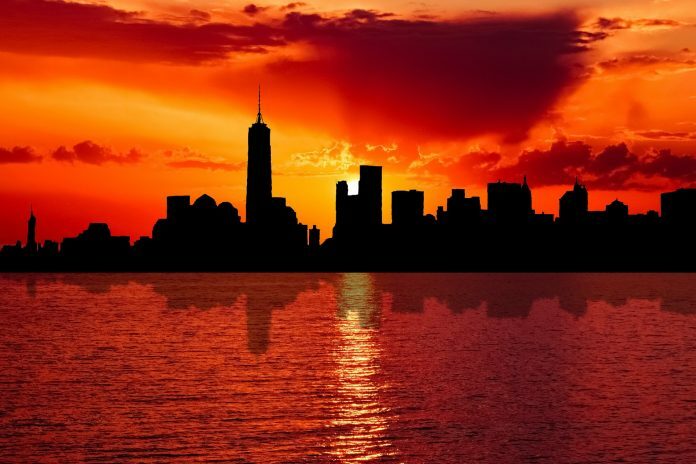 New York has long been a leader in installed solar capacity. The state has a renewable energy target of 50 percent by 2030, making it the third-most aggressive state in the nation (tied with California and New Jersey) when it comes to renewable energy policies. The biggest solar incentive available for New Yorkers in 2019 is the federal investment tax credit (ITC). The ITC entitles you to a tax credit equal to 30 percent or your system’s value. For instance, if your system cost $22,000, you could take a tax credit of $6,600 on your federal taxes. But if you want to cash in on this great discount, you should do it soon – the ITC declines to 26 percent in 2020, then to just 22 percent in 2021. In 2022, the ITC will no longer be available to homeowners, though a 10 percent tax credit will remain for commercial buildings. A similar tax credit is available at the state level for systems up to 25 kilowatts in capacity. New York’s residential solar tax credit is equal to $5,000 or 25 percent of the cost of your solar system, whichever is less. For instance, if your system cost $15,000, you’d be able to take a $3,750 tax credit on your state taxes. If your system cost $21,000, however, you’d only be able to take a $5,000 tax credit, since that’s the lesser of the two possible values. Another important state-level program is the Megawatt Block program, which awards funding to people living in three separate zones based on the amount of solar panels already installed there. Modeled on a similar program in California, New York’s Megawatt Block incentive offers funding on a per-watt basis for homeowners who install solar energy systems. As the solar capacity of a particular region rises, the amount that homeowners are eligible to receive declines until the incentive phased out altogether. In one of the three zones – the Long Island region – the program has already closed, at least for residential applicants. Megawatt Block incentives in the remaining two zones hover around 30 cents per watt for residential buildings. That means that if you install a 4,000-watt system, you’d receive a grant of $1,200. Given the rapidly declining value of these grants, 2019 is definitely the year to take advantage of the program by installing your own home solar system. Like many other states, New York also offers net metering. Net metering is an arrangement in which the excess energy your home solar system produces is fed back into the grid. Suppose, for instance, you’re out at work for most of the day, when the sun is shining down on your solar panels. Under normal conditions, with all appliances idling, your system will likely produce more energy than your home requires, and that excess energy will just be wasted. But if your home is wired for net metering, any excess energy your solar panels produce will be shunted back into the grid so that it can be used by homes and businesses that need it. That’s not only great for the environment, but also for your wallet, since your local electric utility will credit you based on the amount of energy you contribute to the grid. For instance, if you contribute $40 worth of energy and consume $50 worth of energy, your monthly bill will total just $10. And if you produce more than you consume, you’ll receive a credit on the following month’s bill equal to the difference. A suite of initiatives developed by Reforming the Energy Vision (REV) may also help you go solar. The REV is a cooperative plan between the New York Public Service Commission, the New York Energy Research and Development Authority, the New York Power Authority, and the Long Island Power Authority, the aim of which is to modernize New York’s energy infrastructure and help the state meet its clean energy goals. Part of the project involves providing savings for low- and middle-income households that install solar systems. The NY-Sun program, for instance, offers two solar loan options for homeowners and can offset costs if you work with an approved contractor. To find out more about the financial incentives available to you in New York in 2019, talk to your solar installer. They’ll be able to provide more specifics about the incentives in your area and how you can apply for them.